The pink ribbon is an international symbol representing awareness and hope for breast cancer patients. Every year, BCF will produce a specially designed pink ribbon pin through which the public can show their support with a small donation. 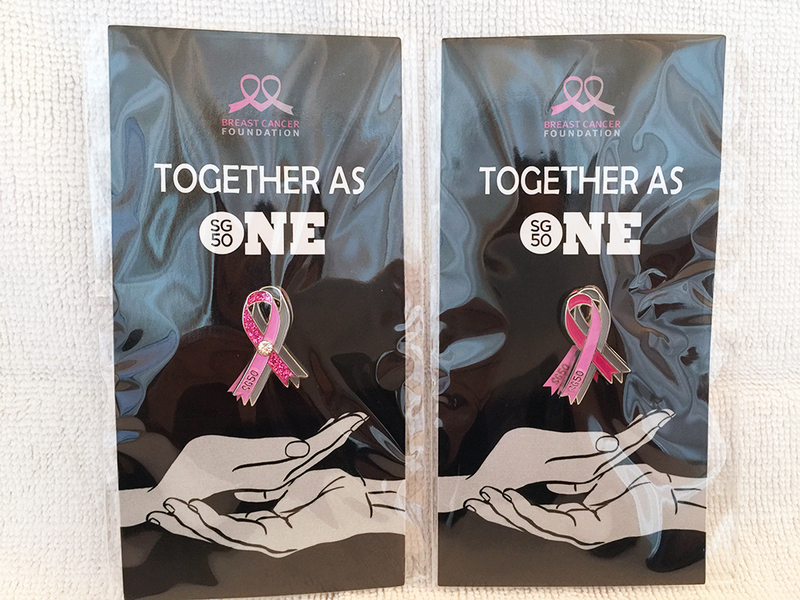 These pins are available during Breast Cancer Awareness Month (BCAM) in October. Besides raising funds, BCF hopes that the act of wearing the pink ribbon pins will help create greater awareness of breast cancer and spread the important message on early detection and breast screening. (2) a crystal encrusted pin for a minimum donation of $5. All the pins will be available at various distribution points all over Singapore in October and Sky Pilates is one of the distribution points. Be spotted wearing the Pink Ribbon Pins in the month of October and stand to win attractive prizes, in BCF’s Pin& Win Lucky Draw. What: How Pilates can help breast cancer survivors. Physiotherapist and Pilates Instructor, Valarie will be sharing how Pilates can help breast cancer survivors. This will be a half hour talk, plus a half hour demo. This is Sky Pilates’ annual fundraiser for BCF. All payments for classes that day will be donated to BCF. Please support and sign up for a class now! There will be a special breast cancer survivors group class conducted by Founding Instructor, Geraldine Nonis at 1pm.